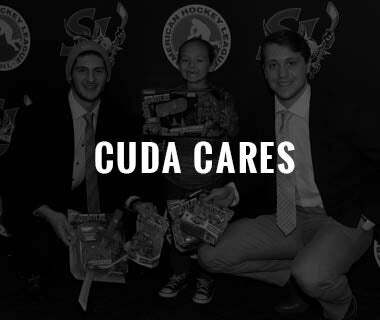 What’s going on ‘Cuda Country? 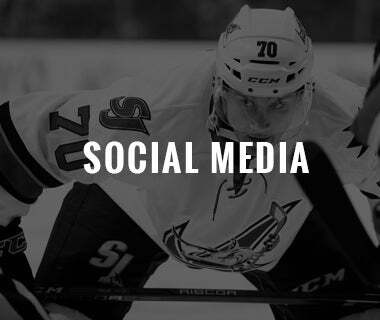 While the offseason news cycle will slow down in the later stages of July and for most of August, between development camp, hockey ops changes, player signings, a new logo reveal, and the 2018-19 schedule release, there’s been a lot to talk about when it comes to the Barracuda. Without further ado, let's break it all down. We’ll begin with last Friday’s Prospects Scrimmage. 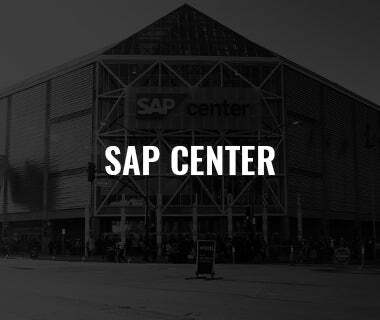 I touched on it last Thursday who impressed me the most during the week of practices, but I also wanted to see who stepped up in live game action during the Prospects Scrimmage at SAP Center. One player who opened my eyes was 2018 third-round pick, Linus Karlsson. First, he’s much bigger looking on the ice than what they had him listed at (6-foot, 180-pounds). 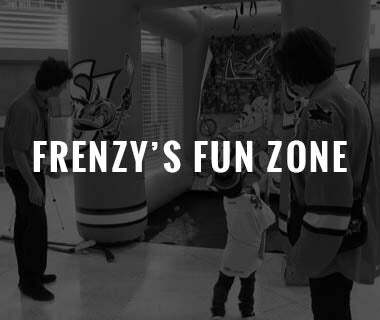 And then, he showed off a pro-style release with a missile just off the left faceoff dot, and although he didn’t score, he had the silkiest shootout move of the group as he honed his inner Tomas Hertl with a between the legs forehand roof that ringed off the crossbar. Another player that people were talking about after the game last Friday was 2017 first-rounder, Josh Norris. The 19-year-old just finished up his freshman season at the University of Michigan where his team reached the Frozen Four before being eliminated by Notre Dame in the semifinals. It’s remarkable what a season can do to increase a player’s confidence. A second development camp and a year of college hockey… Norris looked like a different player last week. Last summer, Sharks GM Doug Wilson referred to Norris as Logan Couture-eske. I think every NHL team would take a Logan Couture on their side, so that’s pretty high praise. Norris will continue to develop at the college level next season with the Wolverines, but it is clear the talent is there. 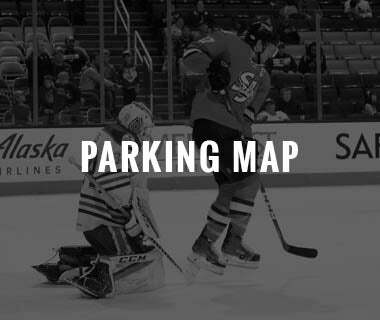 I noticed Norris flash several times on Friday, and at one point, I mumbled under my breath “wow” as he rushed up the left wing and generated a scoring chance. I’m excited to see where he’s at in a year or two. Finally, it's not a major surprise, but Jake Middleton was a standout for me all week. Aside from having to tell several different people that he’s only 22-years-old (the beard/missing teeth make him look more like he’s 30), he was the overwhelming leader of the group. Middleton came out of nowhere two years ago, going from an AHL tryout to a bonafide Sharks prospect. 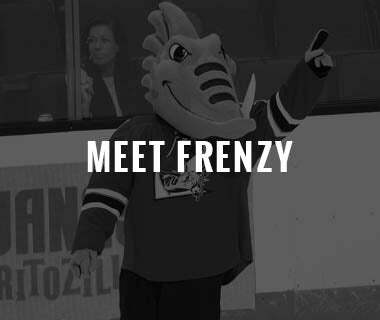 Last year, he took an even bigger step with the Barracuda, improving his scoring from one goal to six, and increasing his total points from nine to 28. Also, Middleton wore an A for the entire year. That’s a big deal for a young player. The “stay-at-home defender” scored in Thursday’s three-on-three game and then scored the first goal of Friday’s Scrimmage. While you’ll never depend on the former Kings draft pick to be a major point producer, the natural evolution of his offensive game is making him an even more viable option with the big club. Middleton’s opportunity with the Sharks this upcoming season may have lessened with the resigning of Dylan DeMelo, but he’s put himself in a great position, barring a strong training camp, to contribute at some point in the NHL in 2018-19. After dev. camp wrapped up, all of my focus shifted to the schedule release. 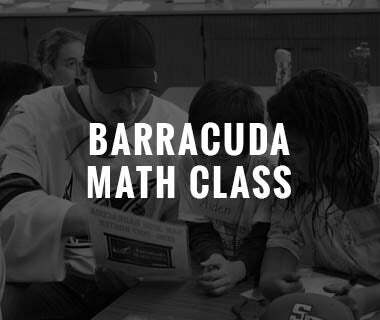 While I knew the opponents the Barracuda would face in 2018-19, I didn’t know how the schedule would exactly shake out. 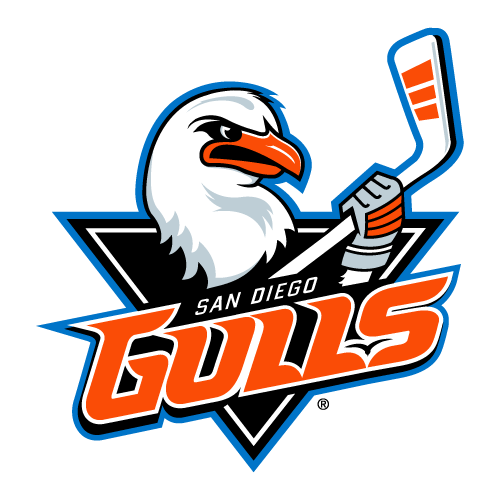 If you didn’t know, the big change in the Pacific this year is the addition of the Colorado Eagles, a highly successful organization in the ECHL over the past several years, and the departure of the Texas teams to the Central Division. 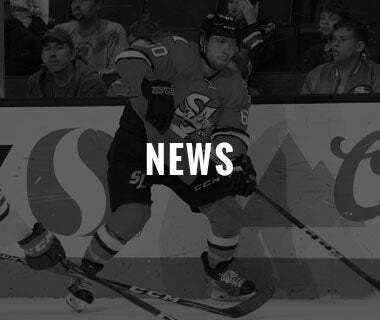 The Colorado Avalanche bought the Eagles and moved their affiliate from San Antonio to Loveland, Colorado. So technically they’re an AHL expansion team. I was reading on twitter that some fans thought they were moving up a level, but that’s not necessarily true. Their roster will be completely revamped with Avalanche prospects. 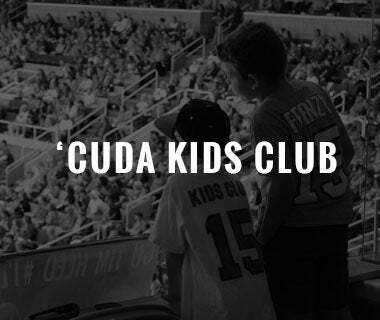 The Eagles were the Avs ECHL affiliate last year, but as many fans experienced with the Barracuda and Americans, only a handful of players go up and down from the two levels, and often AHL teams scan the entire ECHL for players, not just their affiliate. 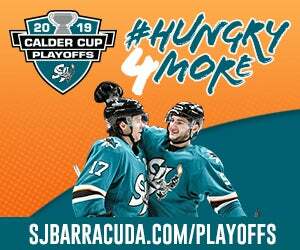 The Barracuda will still face San Antonio and Texas two times this season, but it’ll be considered an out of division matchup. The major plus of adding Colorado is the entire Pacific Division now plays 68 games, and winning percentage within the division will no longer matter. 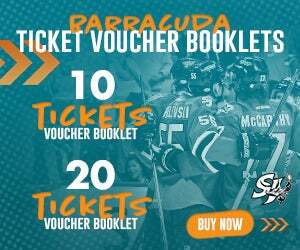 Another note on the schedule is the Barracuda will not go on a road trip that spans longer than three games. Last year, San Jose went on a six-game road trip. That’s a huge advantage. 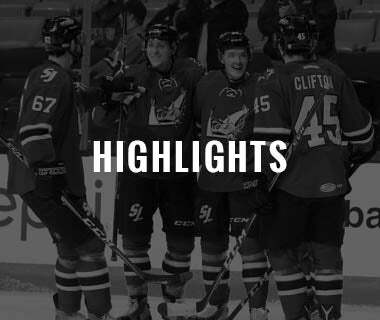 Hockey in July, new jerseys, schedule release, etc., has me pumped for another season. Also, I know the new logo is subtle, but it’s sharp and a huge upgrade from the old look, in my opinion. To read more about the staff changes click HERE. 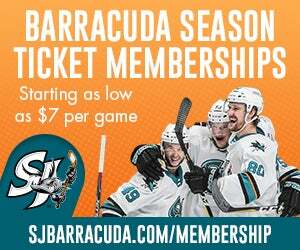 I didn’t want to dive too far into it because we’ll be doing staff spotlights on SJBarracuda.com and the Barracuda social channels in the coming weeks so you’ll find out more info about the trainers, coaches, equipment staff, and more. On a side note, the company softball team kicked off another season on Wednesday night. A final inning rally has the squad off to a perfect start. Feeling good about this group. Plenty more updates to come as the season progresses. Have a great weekend, and we’ll talk to you all next Thursday.